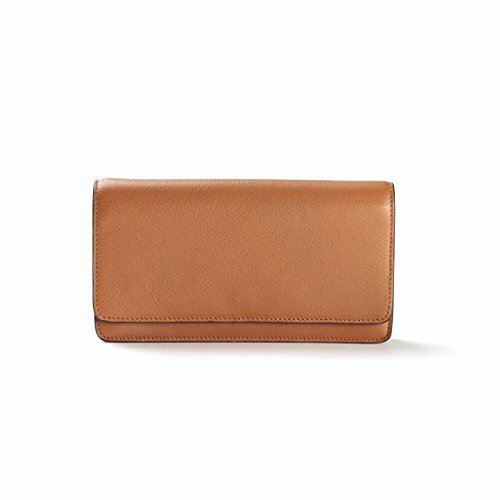 A classic design with a twist, the Katy Snap Wallet was made to combine the features of your go-to wallet and the utility of a crossbody bag. Sewn-in card slots and interior pockets are perfect for keeping everything organized while the main interior compartment will comfortably hold your phone and keys. This wallet comes with a removeable strap so you can easily take this wallet solo with you while on the go. Casual yet distinctive, our Timeless collection is one of our favorites. This leather boasts a polished finish and a soft hand feel, making it a great choice for any leather connoisseur. And with the variety of colors it comes in, it's easy to find a shade that appeals to you or matches with your other accessories. As the name implies, our Timeless collection will hold up through years of use while aging gracefully every step of the way. Please note: textures in this collection range from light grain to a lightly pebbled grain depending on which part of the hide it's from.